Added to a lost Kellog’s endorsement, a Michael Phelps USA Swimming suspension! Michael Phelps now has a USA Swimming suspension! 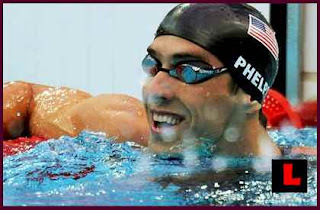 The suspension comes as press reports of Phelps out of shape and significantly heavier. Is Michael even significantly training now in the first place? COLORADO SPRINGS, Colo. - USA Swimming has reprimanded Michael Phelps under its Code of Conduct by withdrawing financial support and the eligibility to compete for a period of three months effective today, February 5. This is not a situation where any anti-doping rule was violated, but we decided to send a strong message to Michael because he disappointed so many people, particularly the hundreds of thousands of USA Swimming member kids who look up to him as a role model and a hero. Michael has voluntarily accepted this reprimand and has committed to earn back our trust.